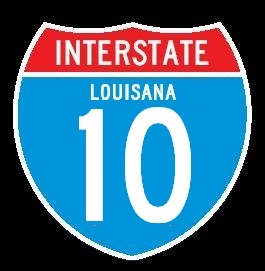 Interstate 110 is a north-south highway in Southern Louisiana. It runs from Interstate 10, in Baton Rouge, to U.S. Rt. 61, in Baton Rouge. This highway is a bit under nine miles in length. It runs entirely within the City of Baton Rouge, and serves it's central business district. While in the State of Louisiana, I-110 is not multi-plexed. 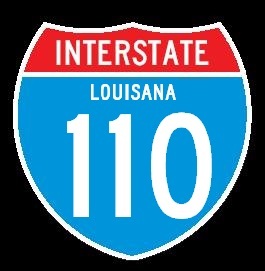 Interstate 110 crosses the following interstate in Louisiana. 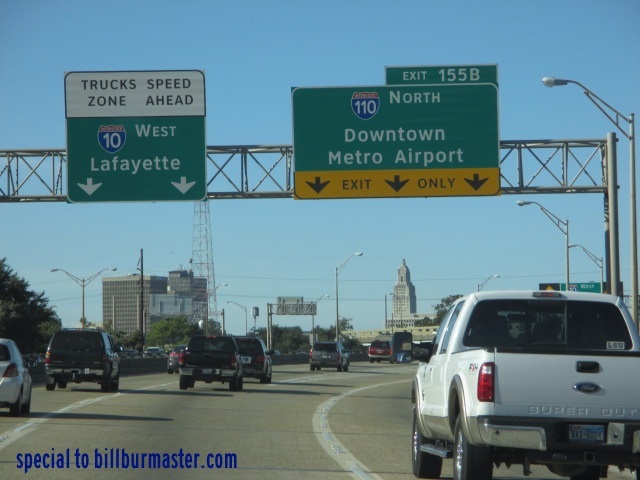 Interstate 10, at Baton Rouge. Info on the parent highway of I-110.